It’s absolutely possible. I did it today, just five minutes ago. The drawing pins / pushpins work just as well as staples as far as I can tell. That mesh isn’t going anywhere. 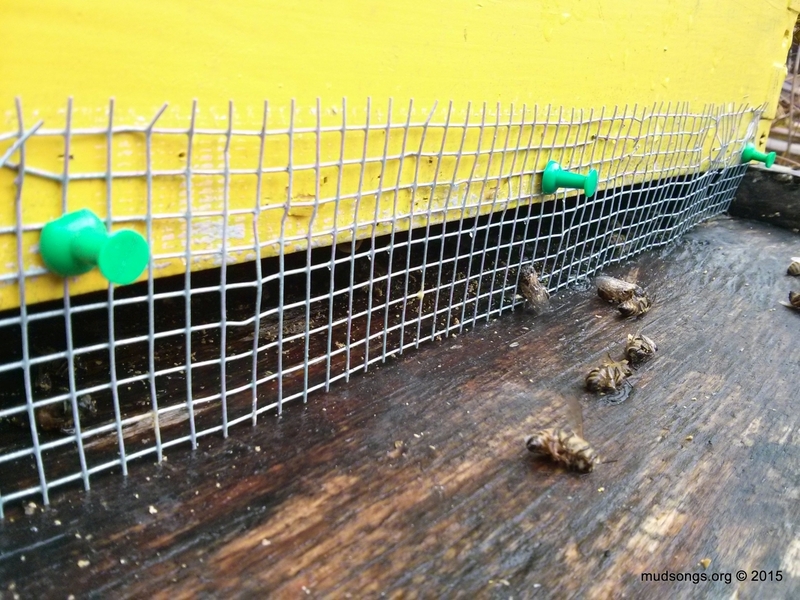 Now I can easily remove the mesh, clean out the dead bees and reattach the mesh without bothering the bees. 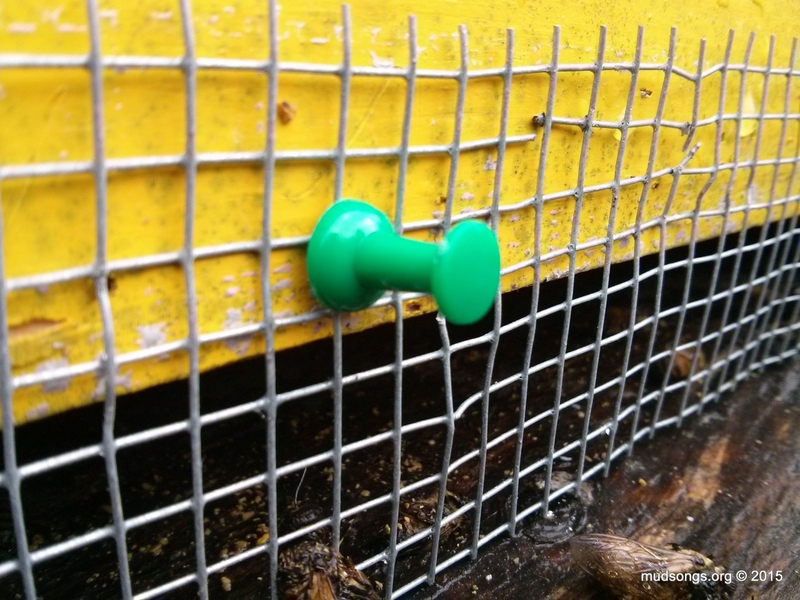 I thought I might need to find a different method for keeping the shrews out of my hive for next year. Not anymore. The mesh attached with thumb pushpins instead of staples works perfectly. At least that’s my story for now. Thanks for the tip, Emily. Do You Know Where Your Cluster Is? All of my colonies live in 3-deep hives. 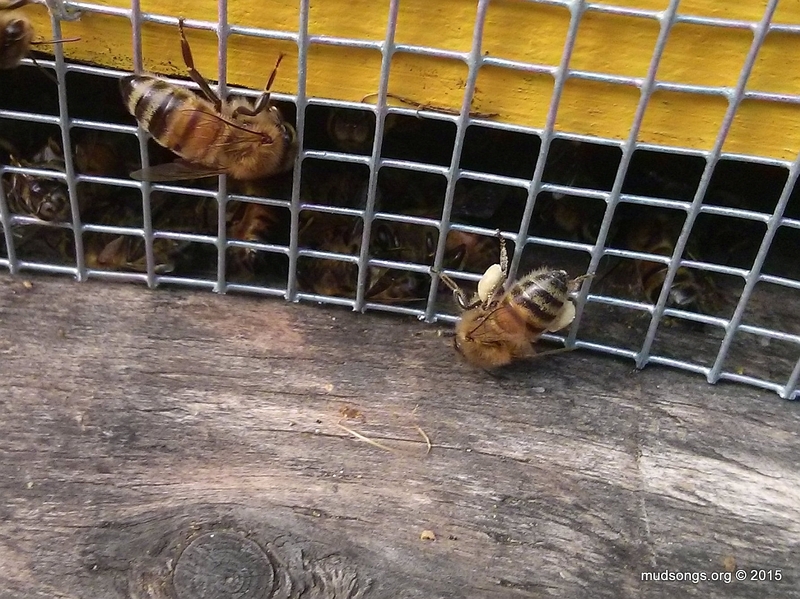 Most of them seem to have between one and two deeps of honey to keep them alive all winter. Even though that’s more than enough honey, I have considered dumping sugar in all the hives just to be safe. But I think I’ll wait and see what happens. 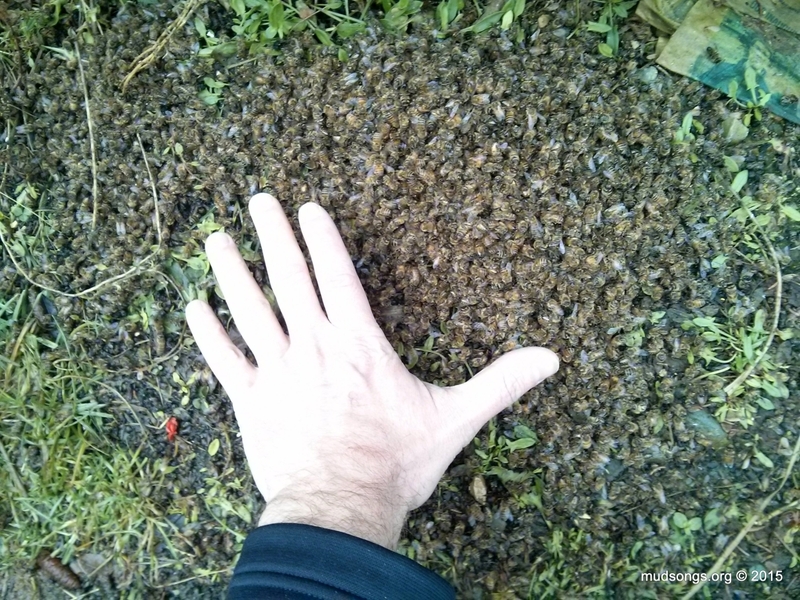 It would be wonderful to get through a winter without having to feed my bees, though chances are I’ll get paranoid and give them loads of sugar even if they don’t need it. 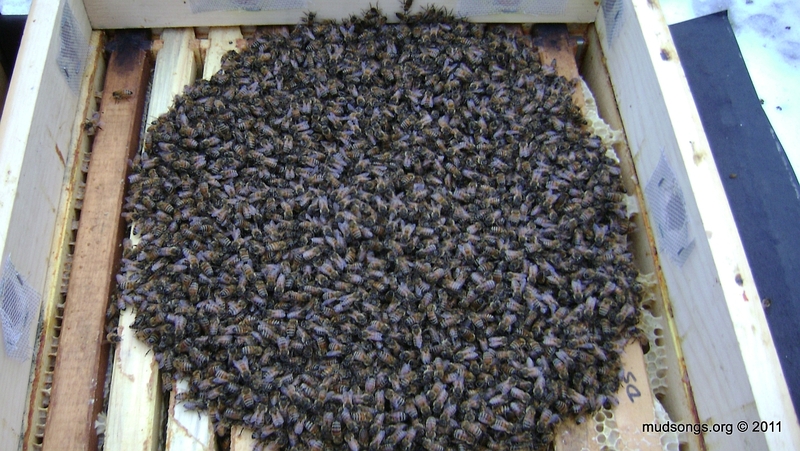 My plan, if you can call it that, is to give them sugar perhaps even before the cluster is covering most of the top bars. As of today, though, nar a cluster is to be seen. And I hope it stays that way for the next few months (not likely). Here’s a detailed copied-and-pasted entry from my beekeeping journal to illustrate what I’m talking about. First up, 1505, a colony that was inadvertently started from a supersedure cell in July. The first sign of brood soaking in royal jelly from the naturally mated queen showed up around August 10th and I fed the colony sugar syrup until the end of October. It’s not what I would call a fully established colony, though not bad considering it’s only three months old. 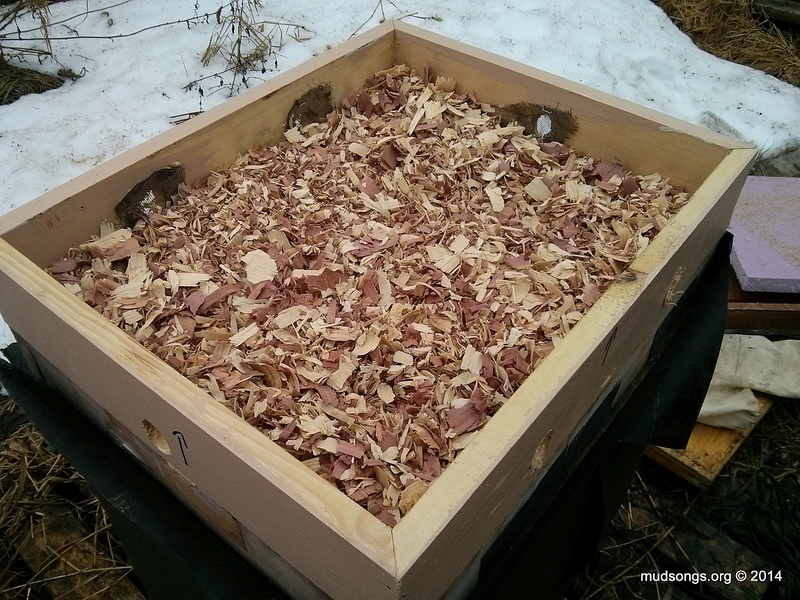 I’m a true believer in moisture quilts as the best overall ventilation and moisture reduction aid for Langstroth hives in the winter. I’m a true believer because I’ve seen soaking wet hives become dry as a bone within a week of having moisture quilts installed. 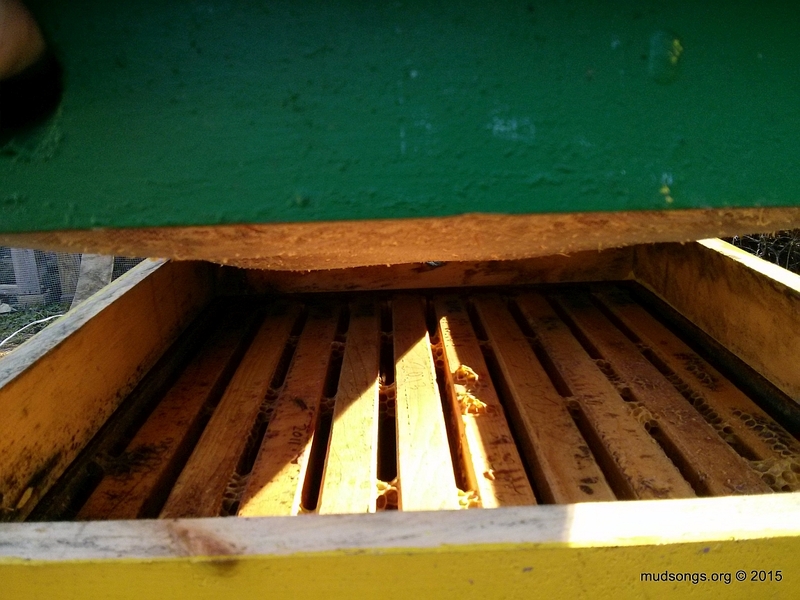 Empty moisture quilts are excellent ventilation aids in the high heat of summer too, allowing the bees to regulate the temperature of the brood nest with less fanning and to cure honey sooner. Moisture quilts are also really cheap and easy to make. Everybody wins.